Many of my friends, personal as well as media, are asking me about the latest position of the Judgement of the Hon'ble Bombay High Court on the implementation of MACP scheme. Really speaking, I am not much interested in the issue because my monetary benefit is very nominal, since I was already promoted on 01-03-2006 and the effect is only for 2 months. 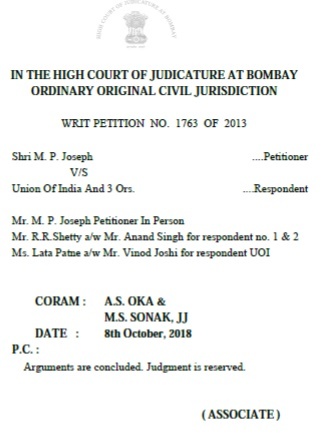 I took up the issue, only because lakhs of employees are affected substantially by the wrong implementation of the 6th CPC and the order challenged is basically wrong. This is also not the first time I took such issues. I took such issues since the 4th Pay Commission onwards (See the newspaper cutting attached). In the present case, I had written a letter to the Respondents in the case as given below, which is self-explanatory. 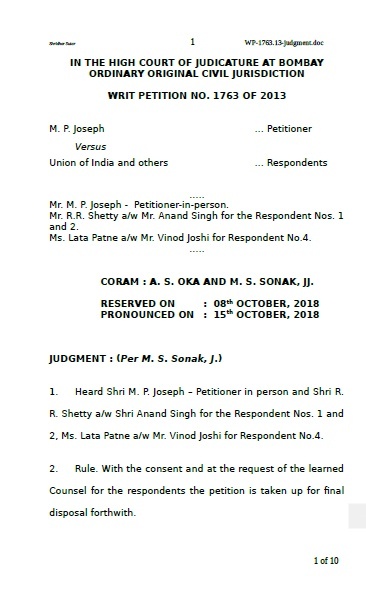 Kindly refer to the above Writ Petition in which you are the 4th Respondent. 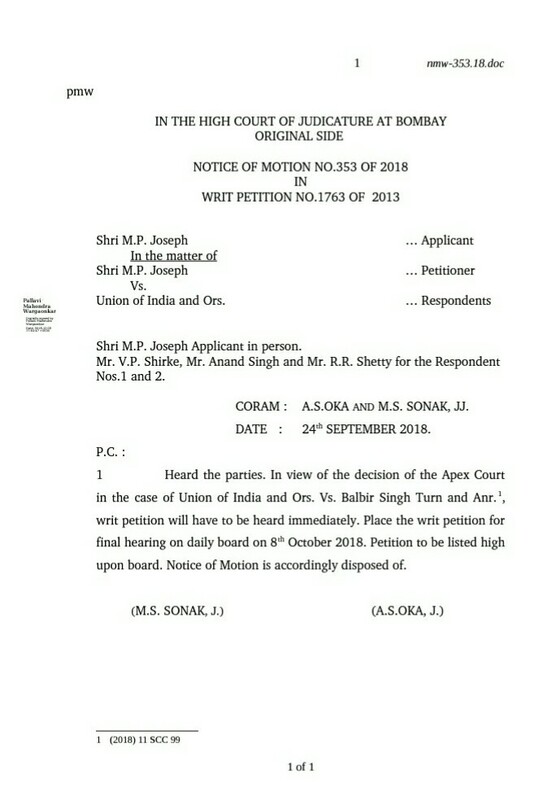 This is to remind you that as per the order of the Hon’ble Bombay High Court, you have to pay the benefits as expeditiously as possible and in any case within a period of three months from 15-10-2018. That period expired on 14-01-2019. But so far, you have not paid it. 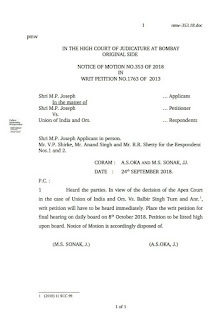 By clearly knowing the lethargy and leisureliness of Government Departments in implementing the Court order, the Hon’ble Court also made an inbuilt automatic balancing mechanism in the following words: “If, such benefits/consequential benefits are not paid to the petitioner within three months from today, then the respondents will liable to pay interest thereon @6% p.a. from the date such payments became due and payable, till the date of actual payment.” Accordingly, now you have to pay the same with interest @ 6% p.a. from when it was due and payable, i.e., 01-01-2006. Further I am also to inform you that, if the payment with interest is not paid within a reasonable time, I will also initiate Contempt of Court Proceedings against you. You are, therefore, requested to do the needful at the earliest. The Secretary, D.O.P.T., North Block, New Delhi – 110 001. The Secretary, Min. of Finance, Dept. of Expenditure, North Block, New Delhi – 110 001.